This primary school and nursery is part of the Three Primary Schools project for Glasgow City Council. The campus combines two existing primary schools and a nursery, and was built on the site of an existing school. It has a school roll of 475 primary pupils and 80 in the nursery. 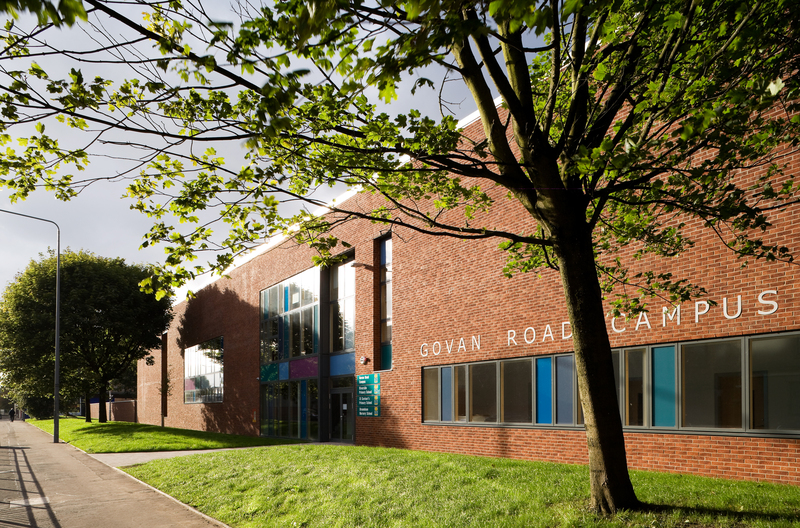 It was designed to be a civic landmark, as Glasgow schools historically were, and, as such, has a frontage directly on to the busy Govan Road. The main circulation space protects the learning and teaching spaces from the noise and distraction of the main road, while a number of teaching wings extend south from the circulation ‘street’ creating safe, sheltered, south-facing courtyards in between. These spaces incorporate playground zones, educational planting, areas of fixed seating and a wetland-wildlife area.